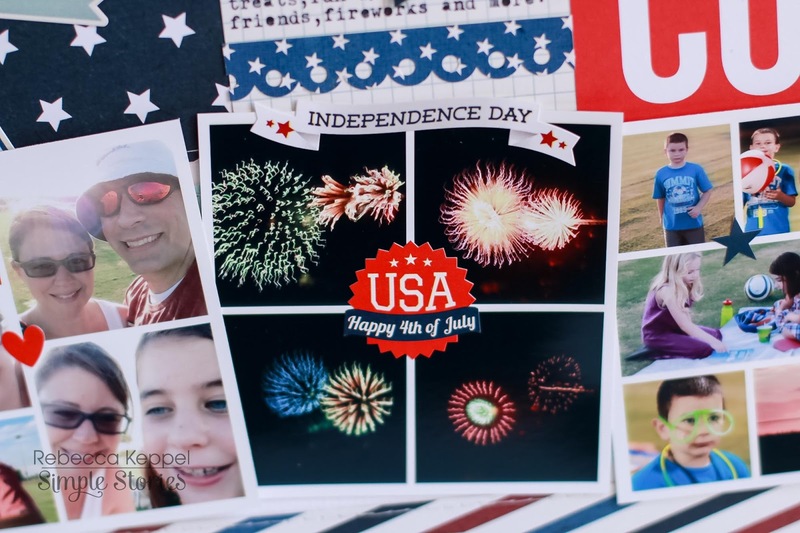 I take tons of photos on the Fourth of July, and with the summer being so busy, I like to quickly get them into a layout. 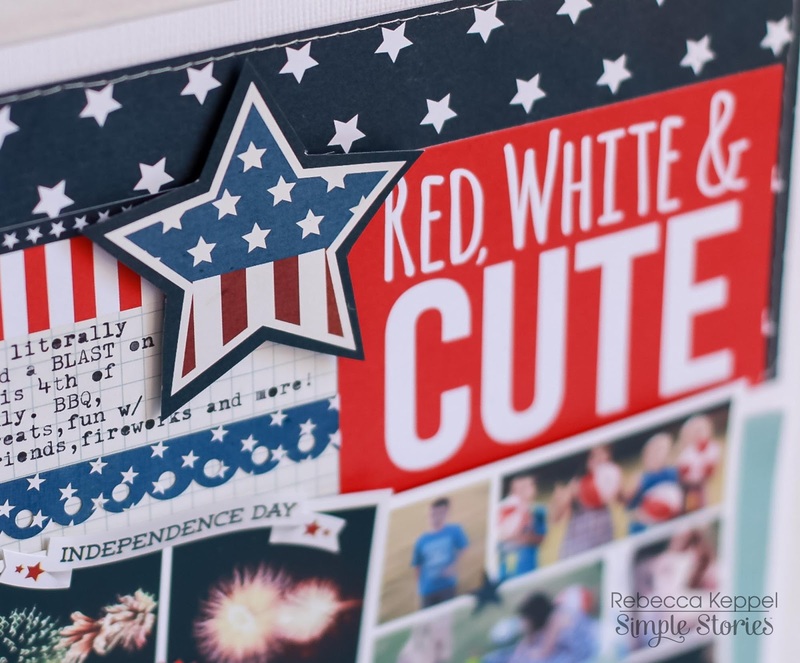 Simple Stories has a SIMPLE answer - the latest Sea to Shining Sea mini collection includes everything you need to get your 4th of July or other summer layout done in a snap! I used 2 strips of 4x11.5 paper and one 3.5x11.5 patterned paper and stitched around each rectangle and adhered those down as horizontal blocks to create my background. I combined 15 photos into three 4 x 4 collages to use on my center strip of paper. 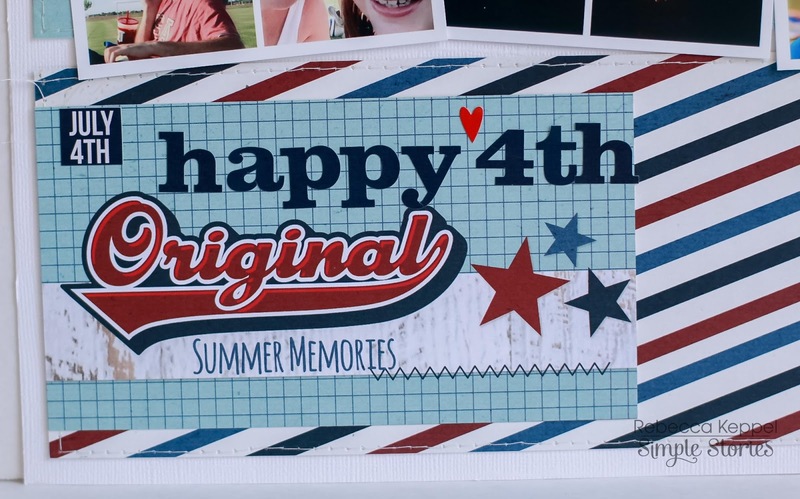 I trimmed down the Original Summer Memories card so you could see more of the patterned paper and machine sewing behind it. Plus, I added some letter stickers for a title to it. 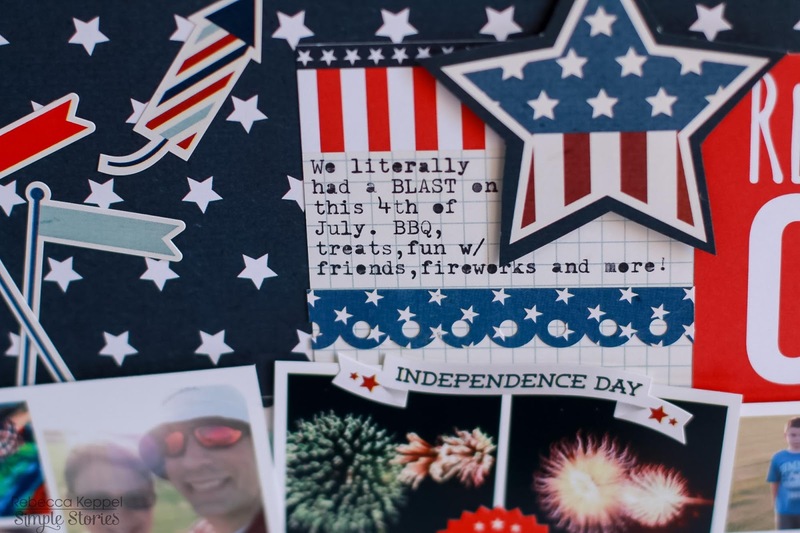 I trimmed down the journaling card so that it match in height to the Red White and Cute card and typed my journaling, adding a border sticker to take up some empty space. The large star was fussy cut from another card and then popped up with 3 dimensional adhesive. Lastly, I love including tiny Simple Stories stickers right on my photos as a banner or in the case of collages right in the middle where the points between photos intersect. 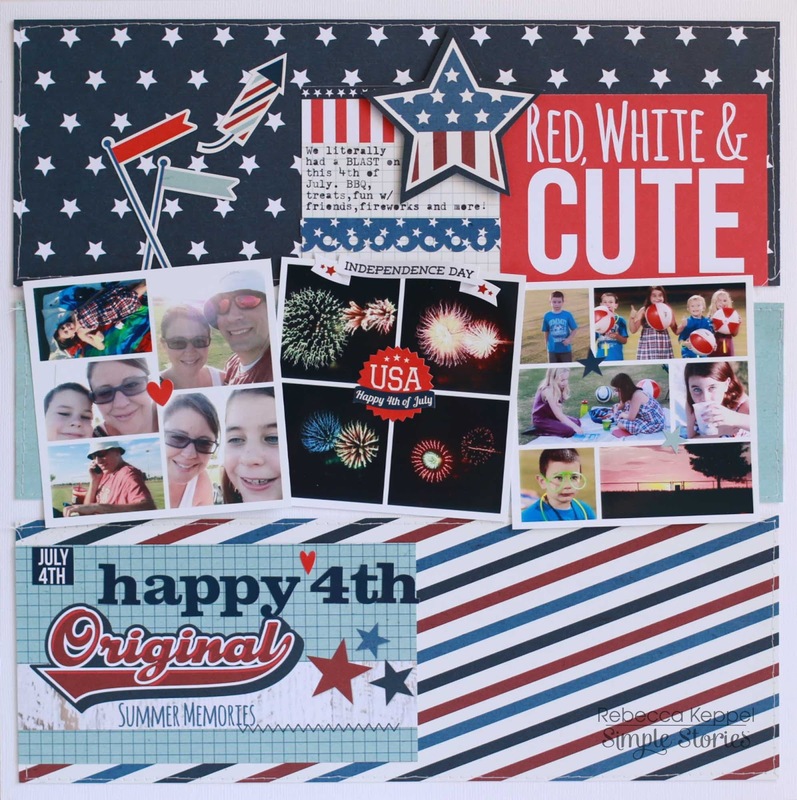 Sea to Shining Sea is such a fun collection and could be used for a number of summer themes, but I loved getting my Fourth of July memories down on a page so quickly! LOVE how you used SO many pictures on this page! Saw the SS blog loved it!